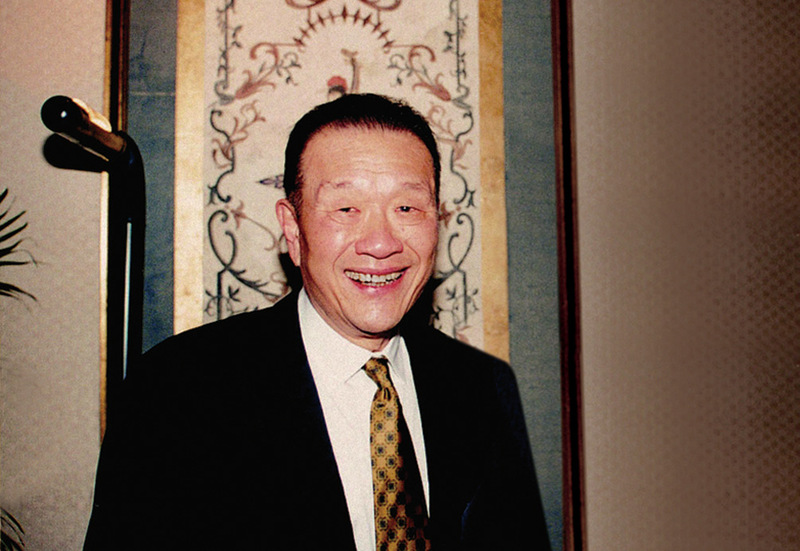 Esquel Group was founded by Yang Yuan Loong (Y.L.). 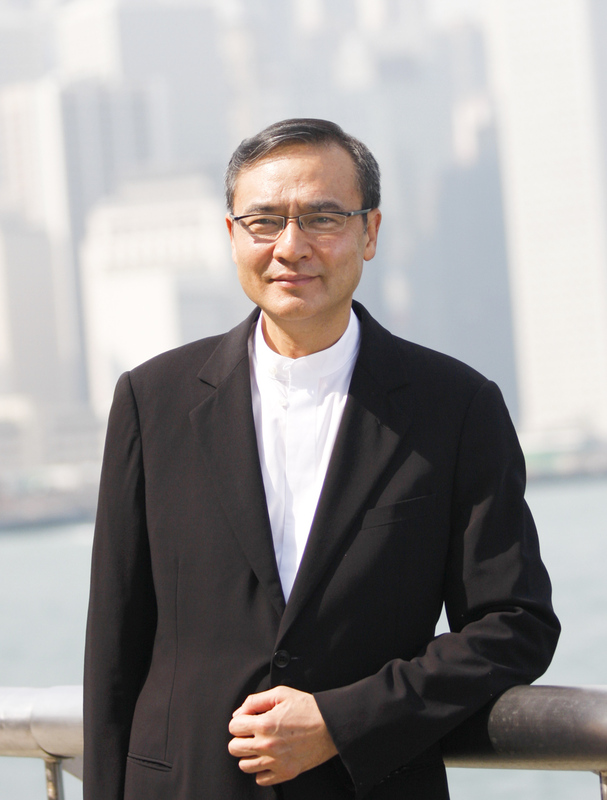 First office opened in Tsim Sha Tsui, Hong Kong. 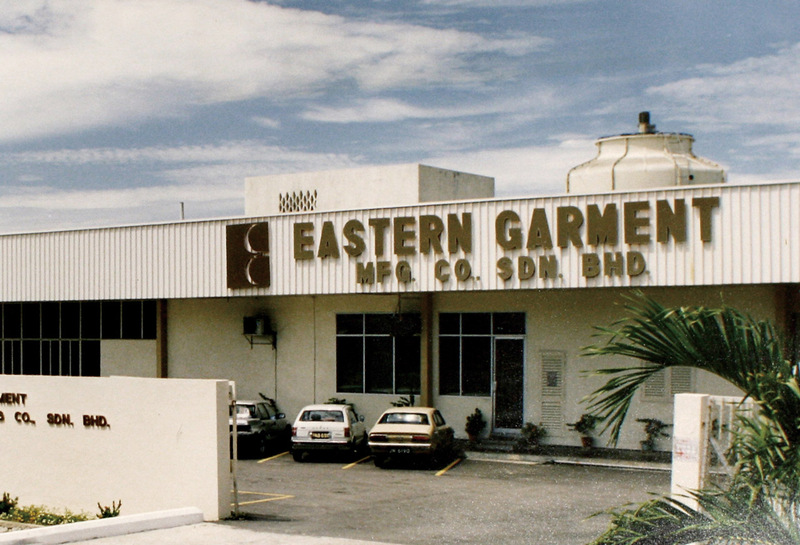 Esquel acquired Eastern Garments in Penang, Malaysia. 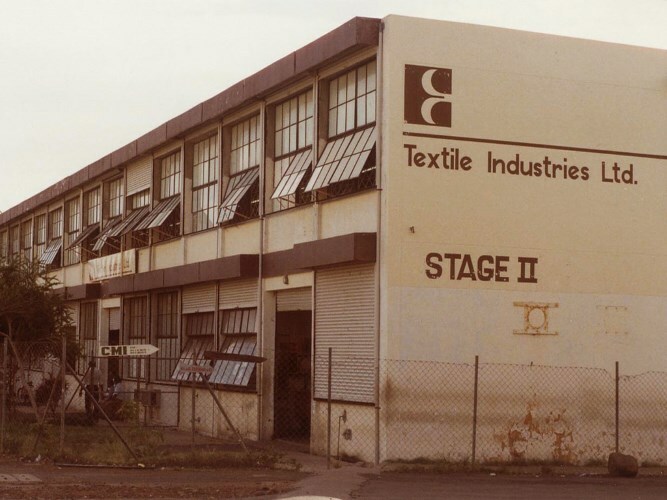 Esquel acquired Textile Industries Limited in Mauritius. 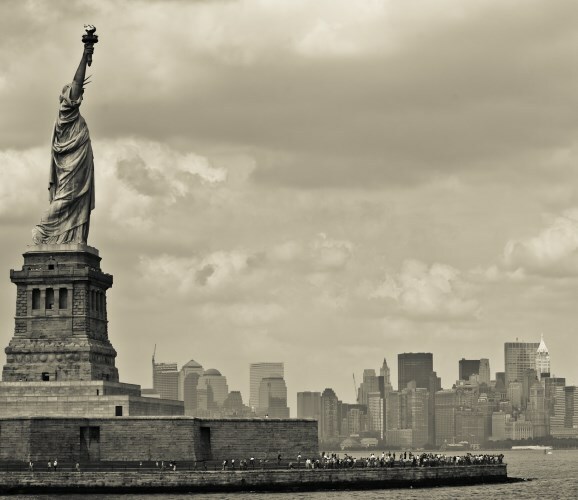 Esquel established its first US representative office in New York. 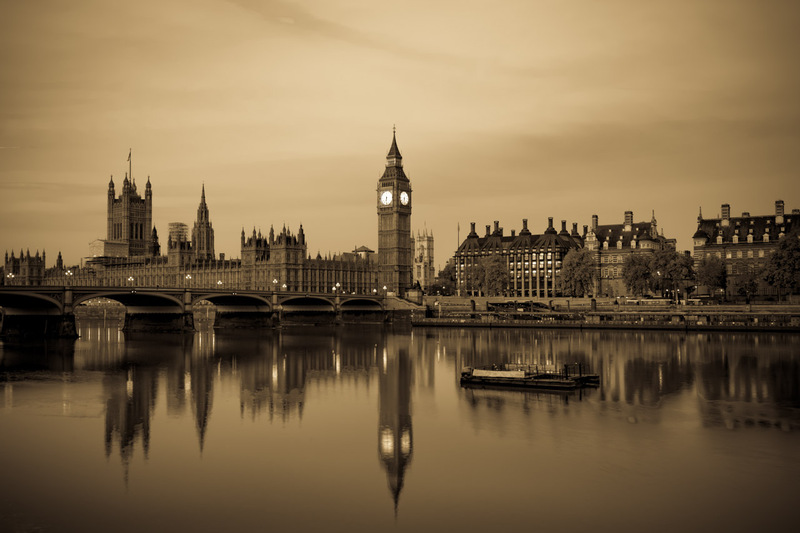 Esquel established its first U.K. representative office. 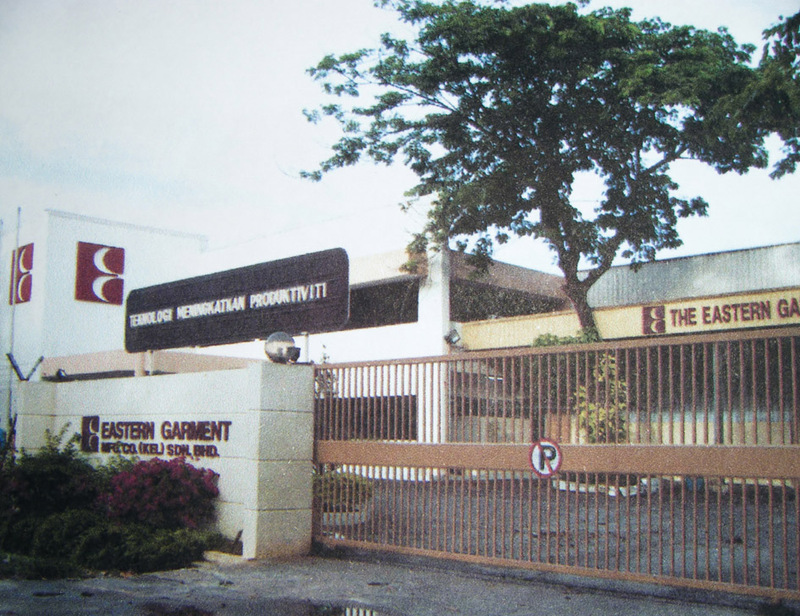 Esquel established Eastern Garment in Kelantan, Malaysia. 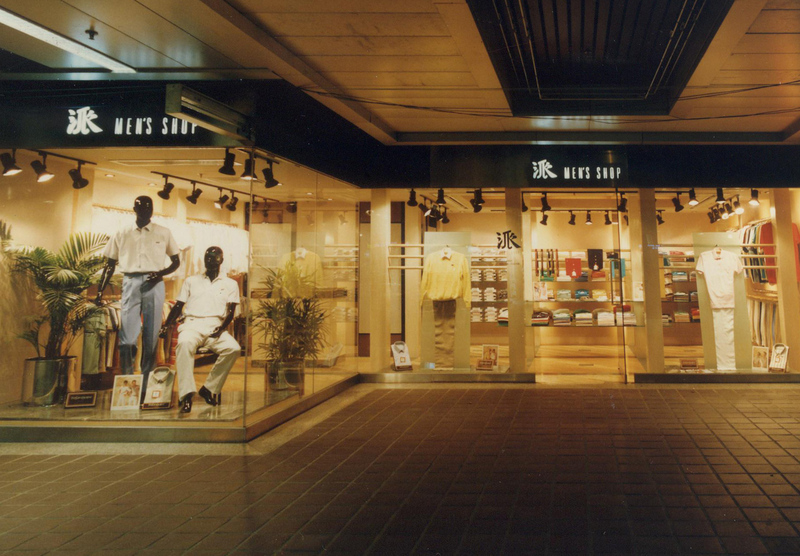 Esquel became a shareholder of Polytex Garments Limited in Sri Lanka in 1983. 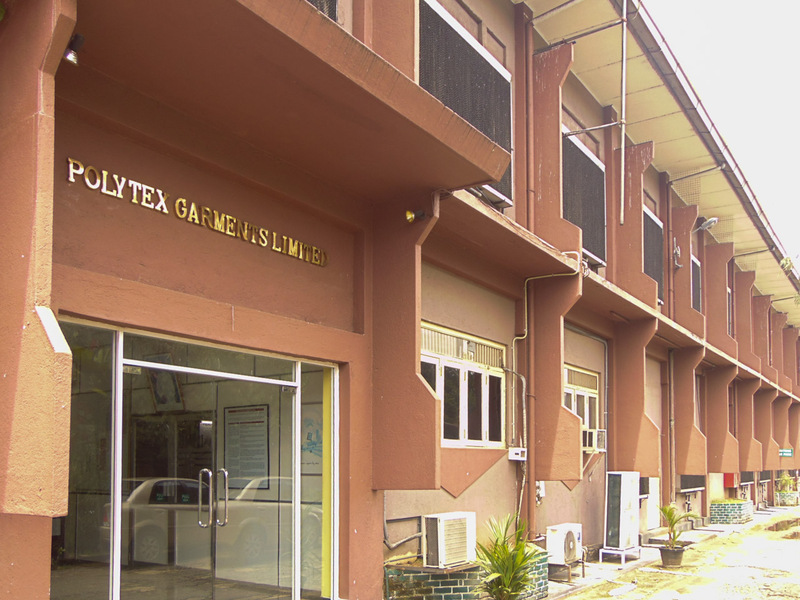 Polytex Garments Limited was wholly owned by Esquel starting from end of March 2018. 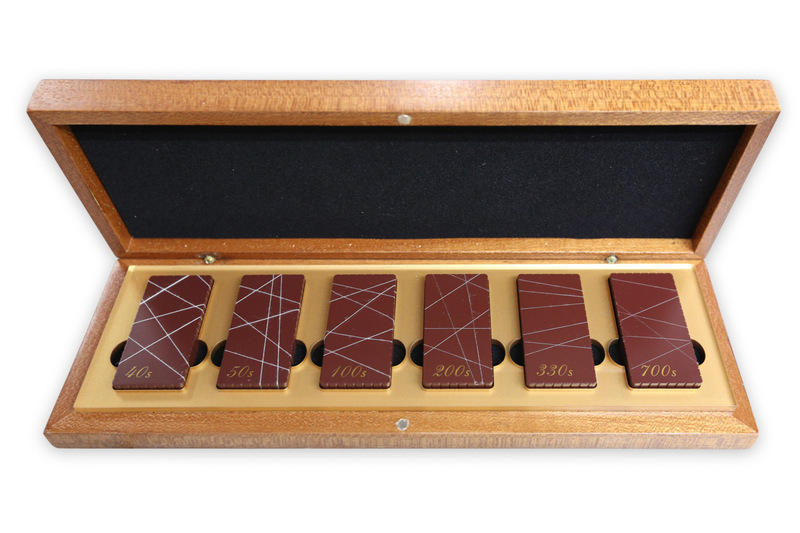 Esquel created the PYE concept and established the first PYE boutique in Hong Kong. 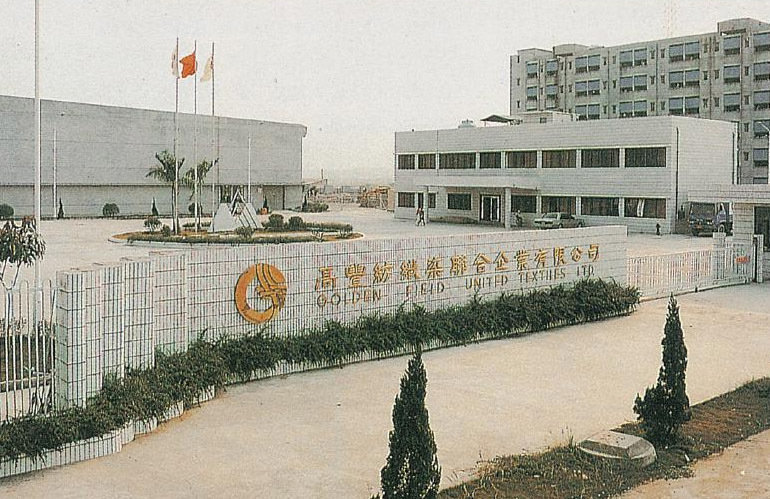 Esquel formed a joint venture, Golden Field United Textiles Limited, in Gaoming, Foshan. 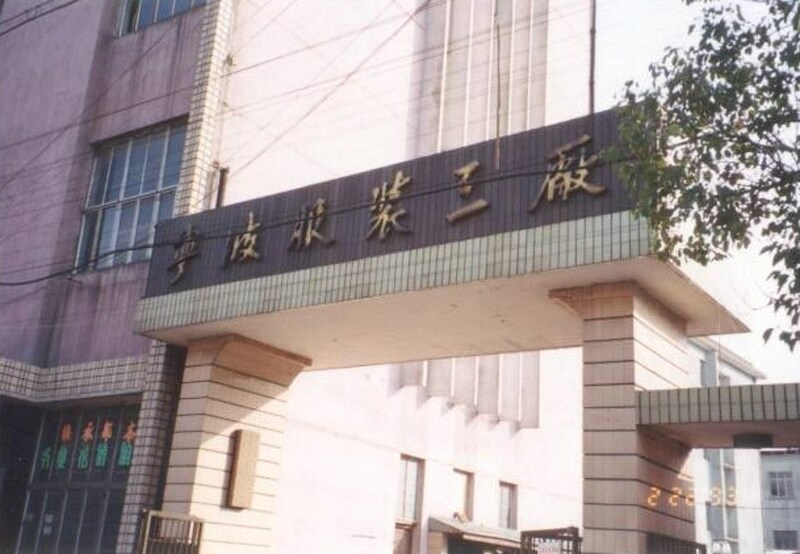 It became fully owned by Esquel in 1996 and was renamed Guangdong Esquel Textiles Limited in 2000. 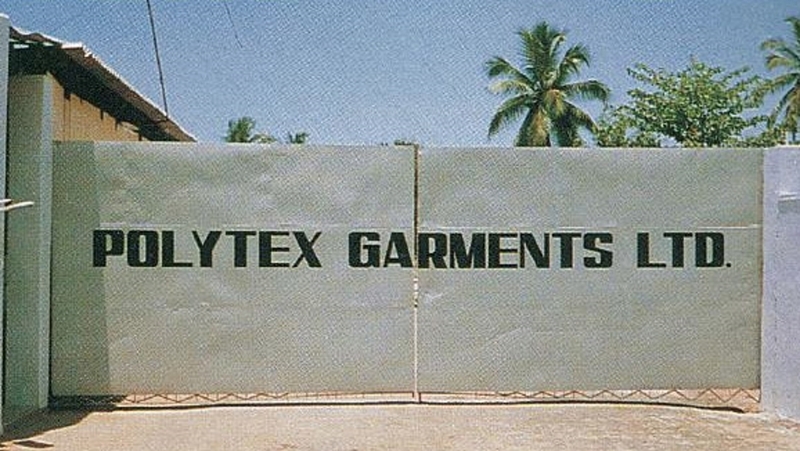 Polytex set up a garment factory in Kegalle, Sri Lanka. 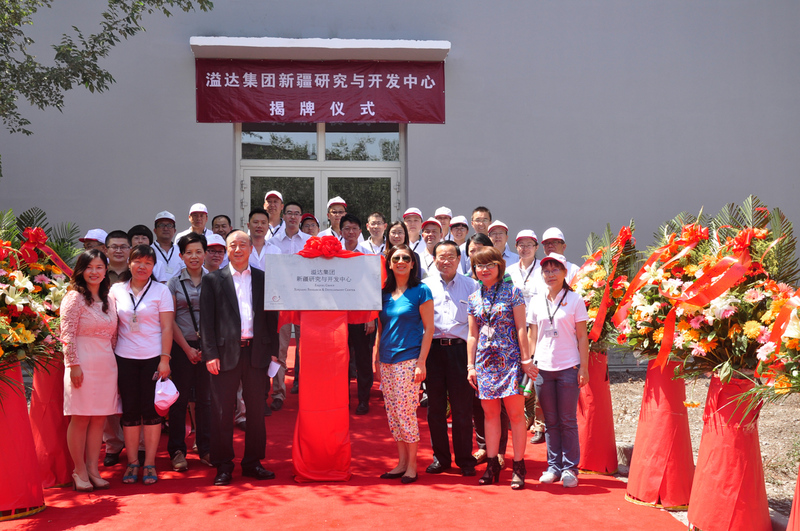 Ningbo Esquel Apparel Company Limited commenced operation. 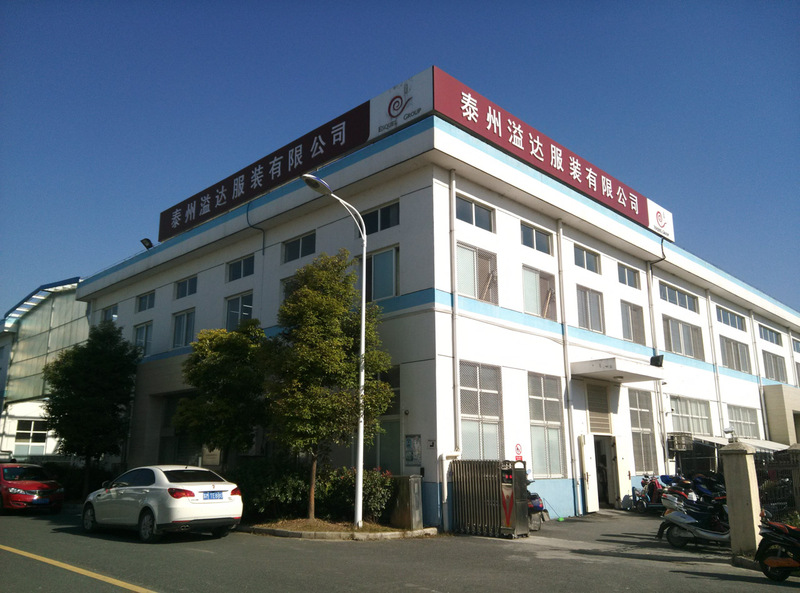 Changzhou Esquel Garment Company Limited and Changzhou Esquel Knitting Apparel Company Limited commenced operation. 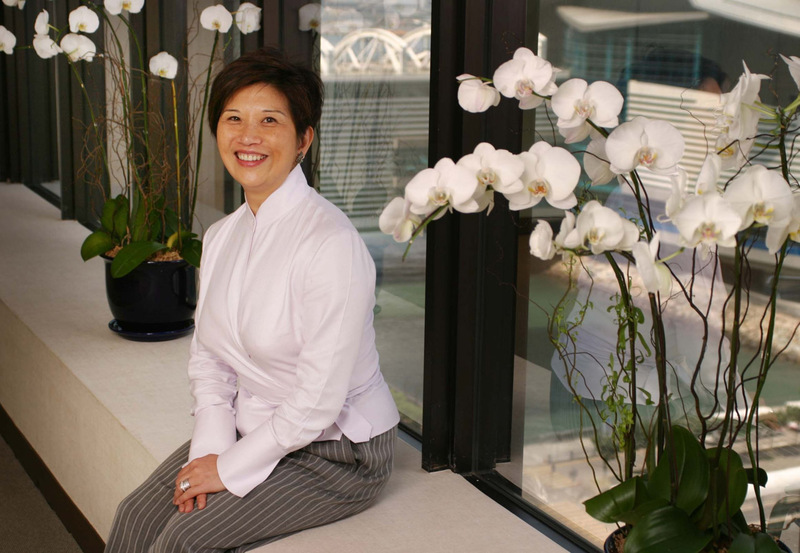 Marjorie Yang was appointed Chairman of the Esquel Group. 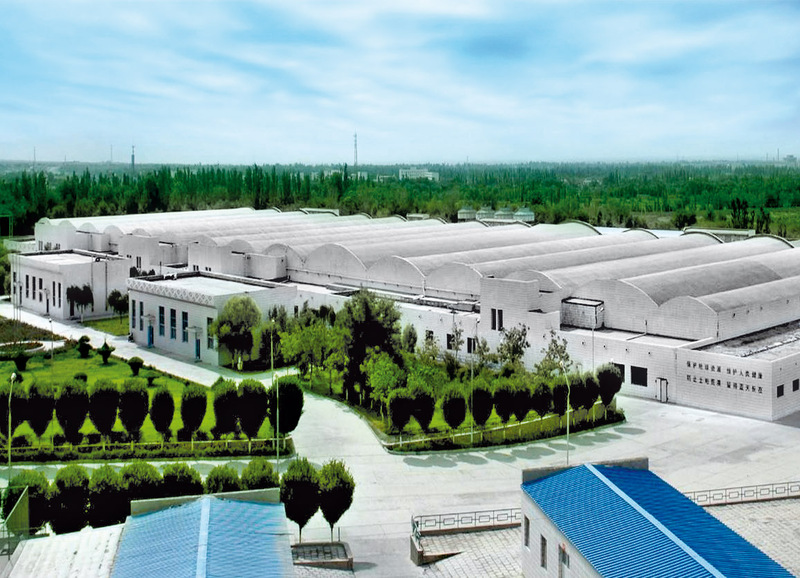 Phase 1 of a spinning mill in Turpan, Xinjiang was set up, with 30,000 spindles. Phase 2 of the spinning mill in Turpan, Xinjiang was completed, expanding its capacity to 50,000 spindles. 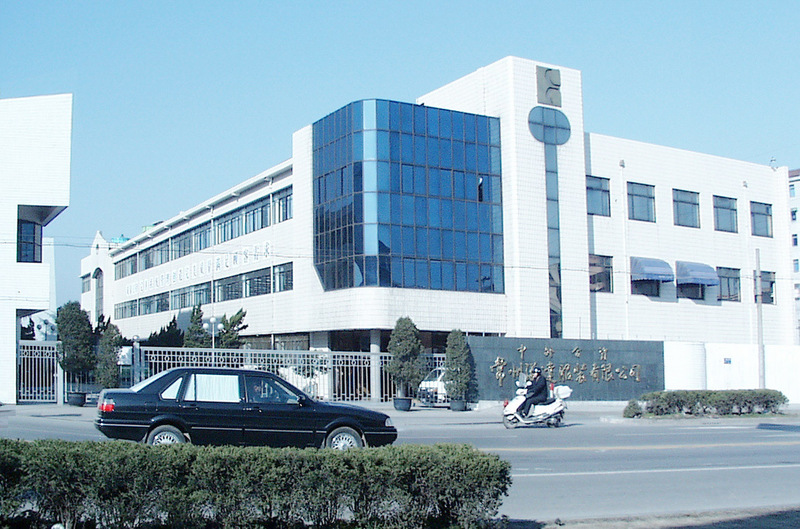 Esquel set up two additional manufacturing facilities in Yangmei, Gaoming. 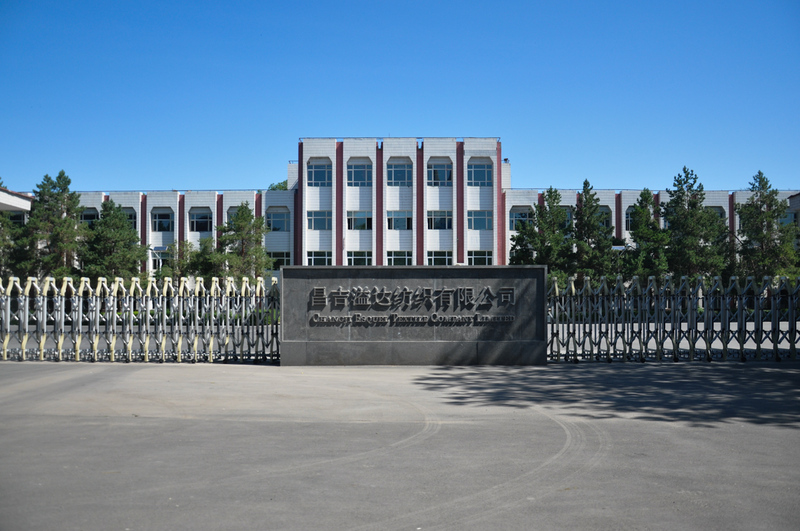 Esquel formed a joint venture cotton farm, Xinjiang White Field Company, near Kashgar, Xinjiang, covering 6,500 acres of farm land. 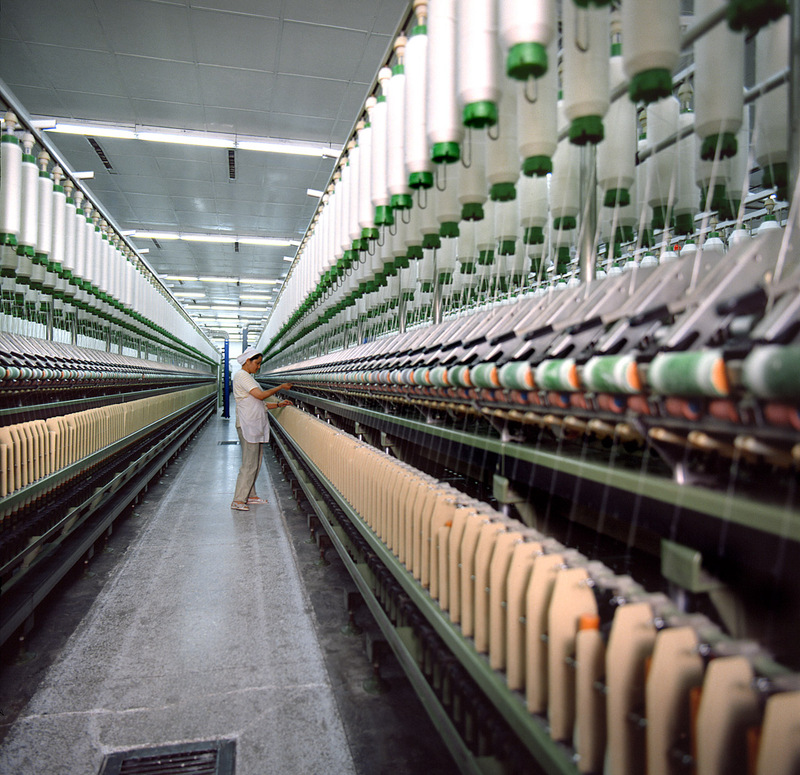 Esquel took over a cotton spinning factory in Urumqi, Xinjiang, which was equipped with 40,000 spindles. 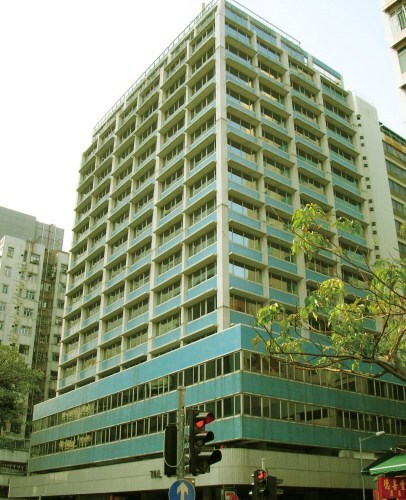 Group headquarters moved to Wan Chai, Hong Kong. 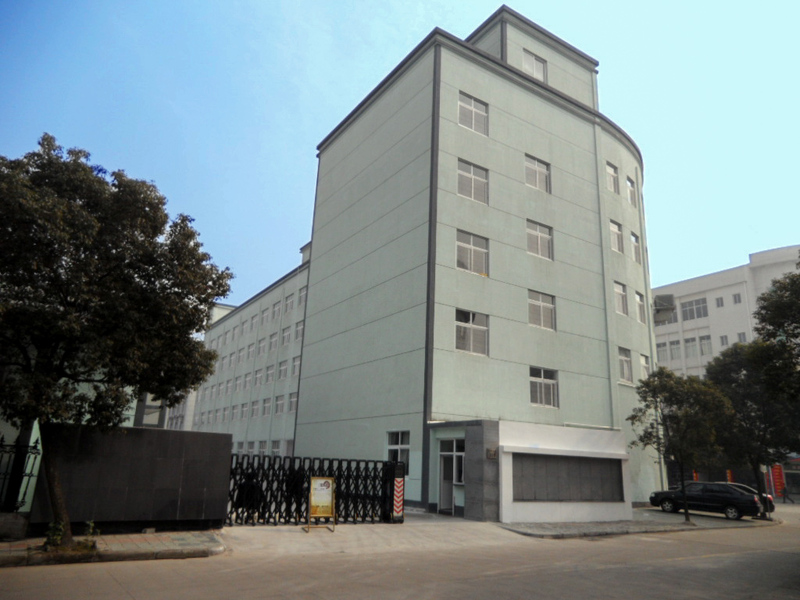 Esquel established the Group Research and Development Center in Gaoming, completing its Vertically Integrated Supply Chain. 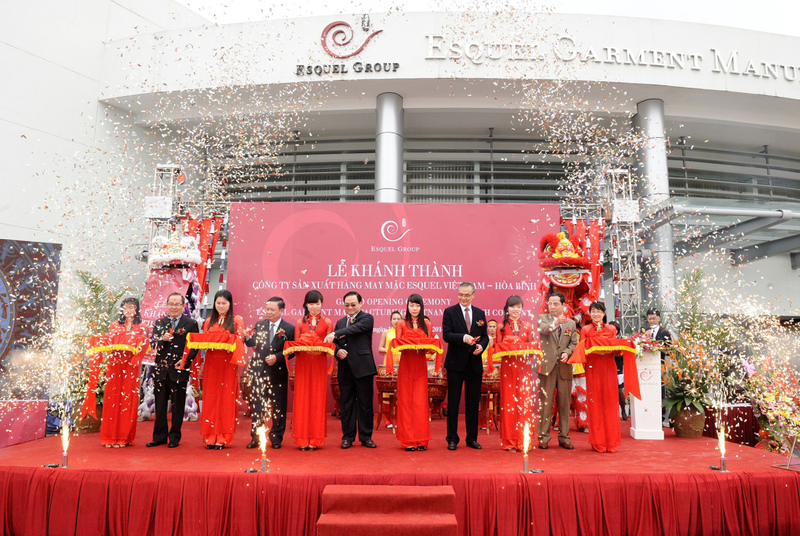 Esquel Garment Manufacturing (Vietnam) Company Limited commenced operation. 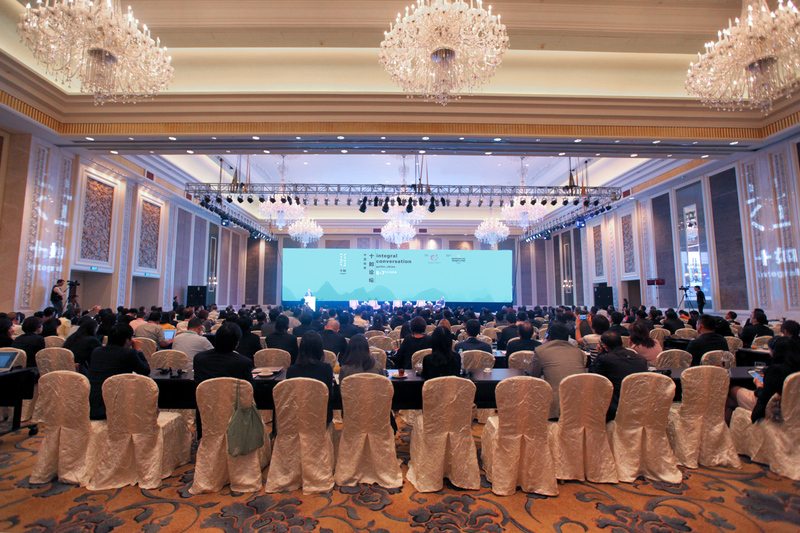 Esquel’s inaugural Sustainable Development Conference was held. The Esquel-Y.L. 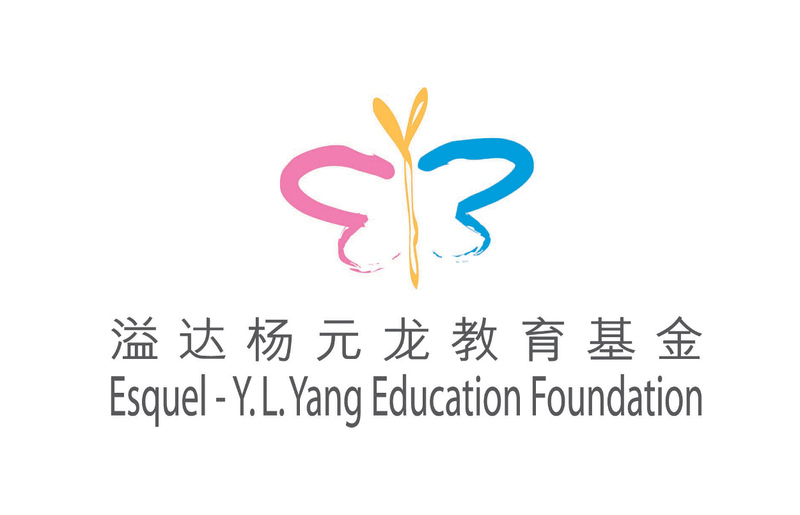 Yang Education Foundation was established. 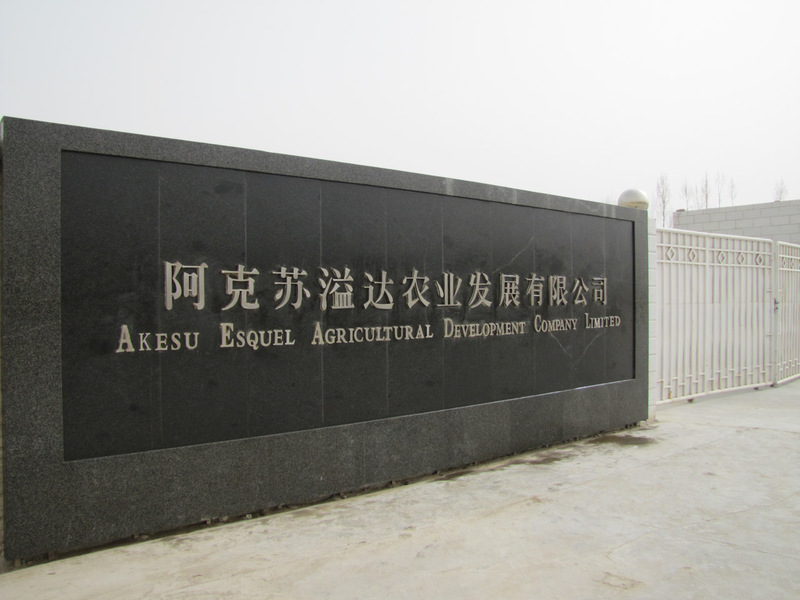 Akesu Esquel Agricultural Development Company Limited in Xinjiang was set up. 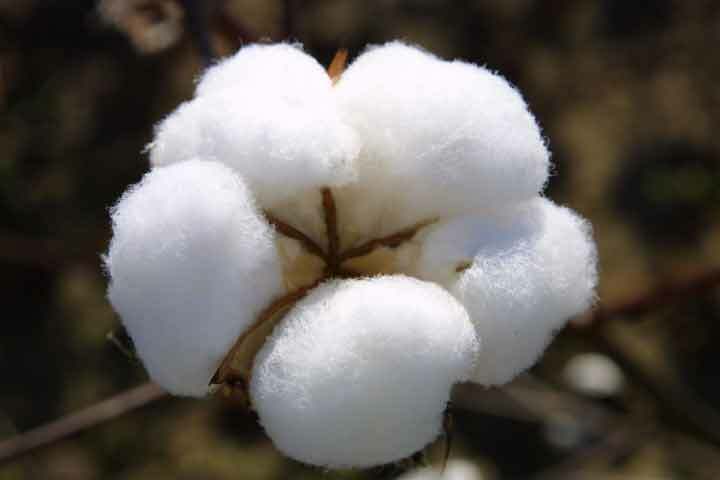 The ginning mill, Akesu Esquel Cotton Industrial Company Limited, commenced operations. 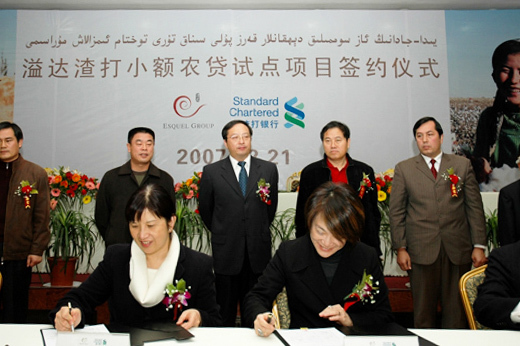 Esquel launched a pilot project, together with Standard Chartered Bank, to provide micro-financing to farmers in Xinjiang. John Cheh was appointed CEO of the Group. 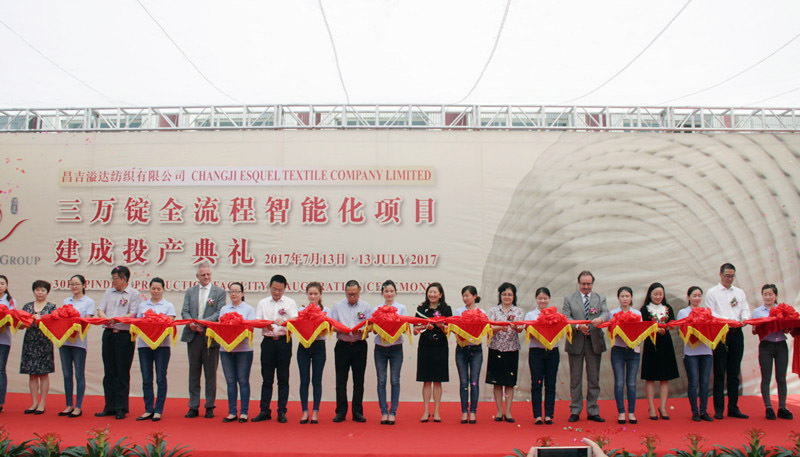 Changji Esquel Textile Company Limited commenced operation. 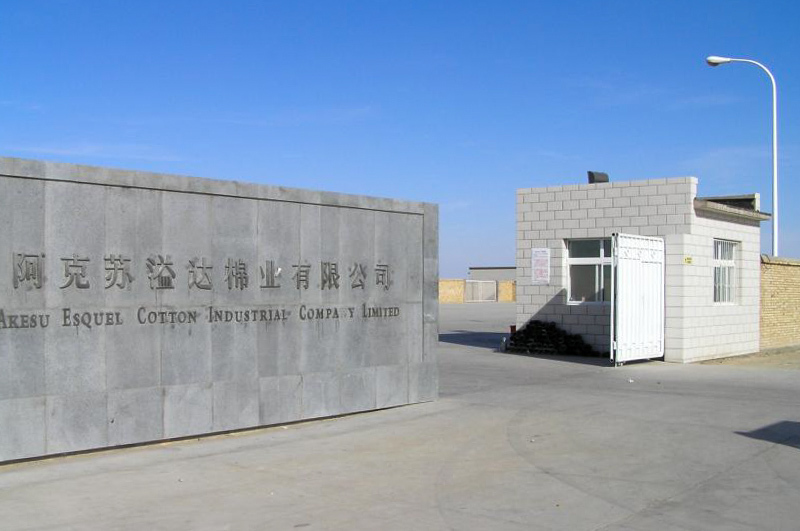 Extra Long Staple (ELS) cotton "Esquel 1" received the prestigious Xinhai 33 accreditation. The highest possible woven yarn count, 330s/3, was introduced. 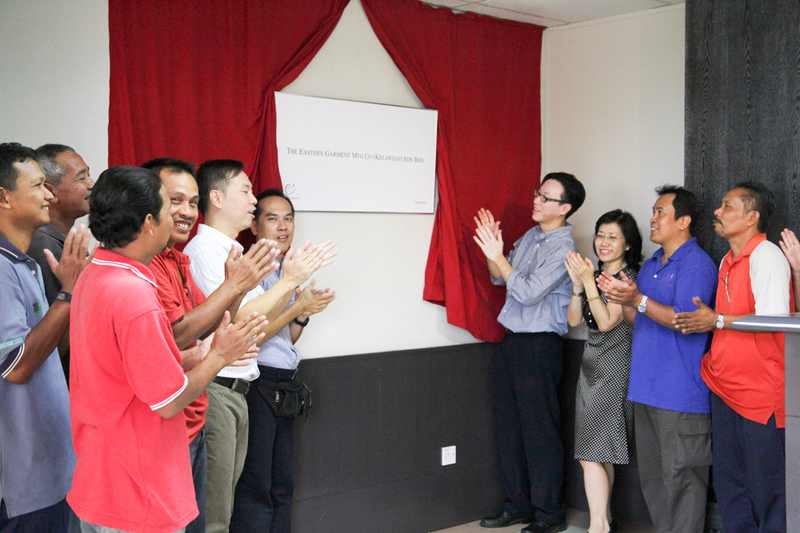 Eastern Garment factory in Malaysia reopened. 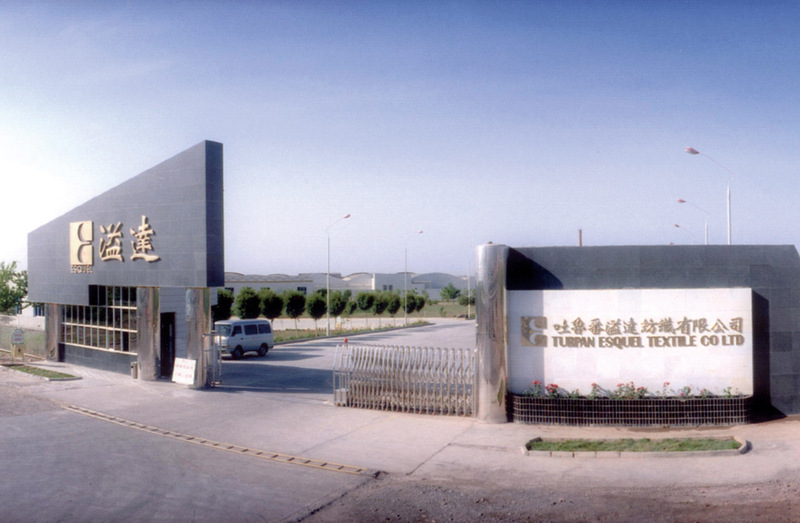 Esquel acquired Guilin Yinhai Textiles Group. 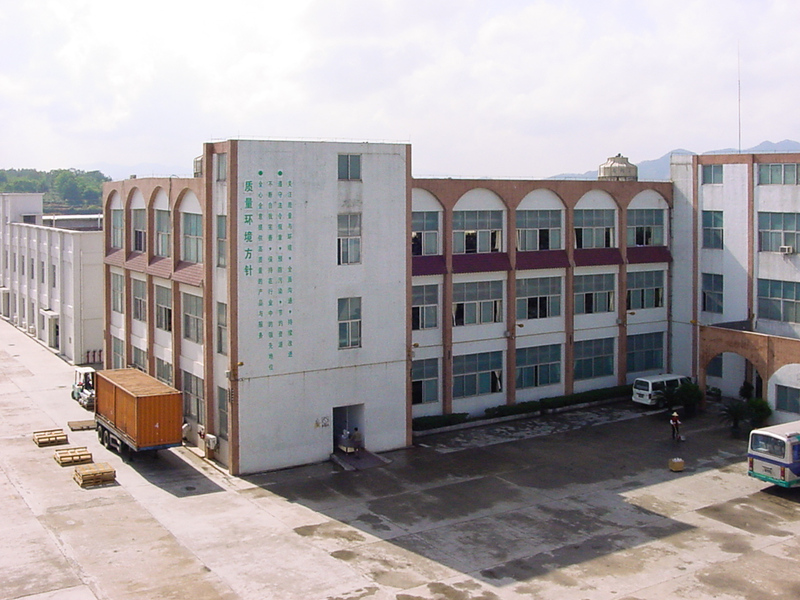 Fenghua Esquel Garment Company Limited commenced operation. 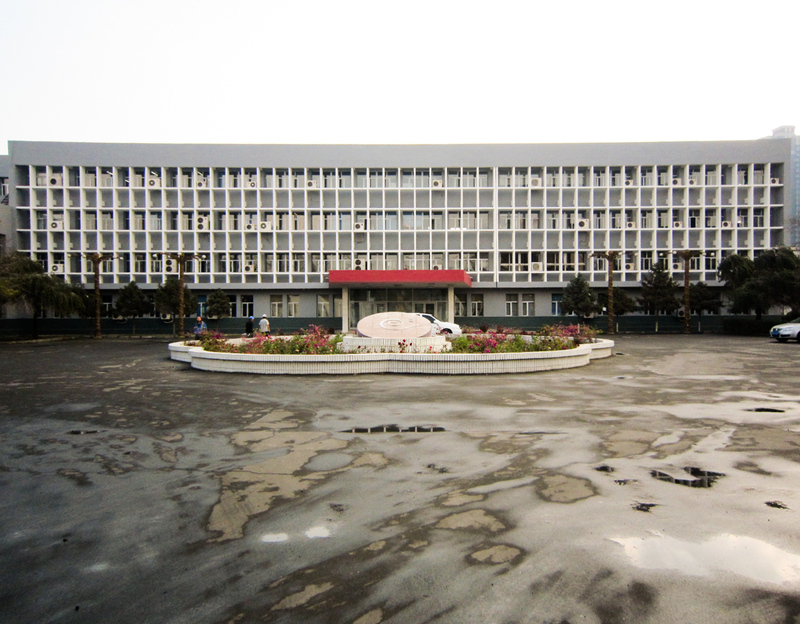 Taizhou Esquel Garment Company Limited commenced operation. 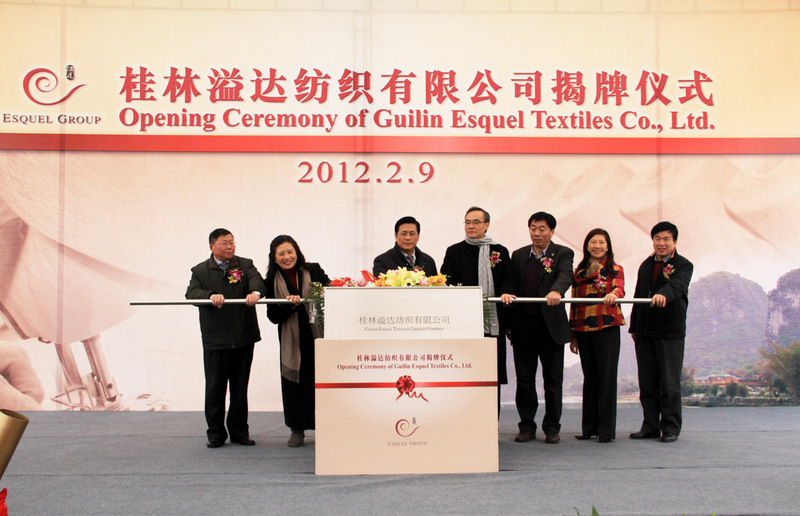 Guilin Esquel Textiles Company Limited commenced operation. 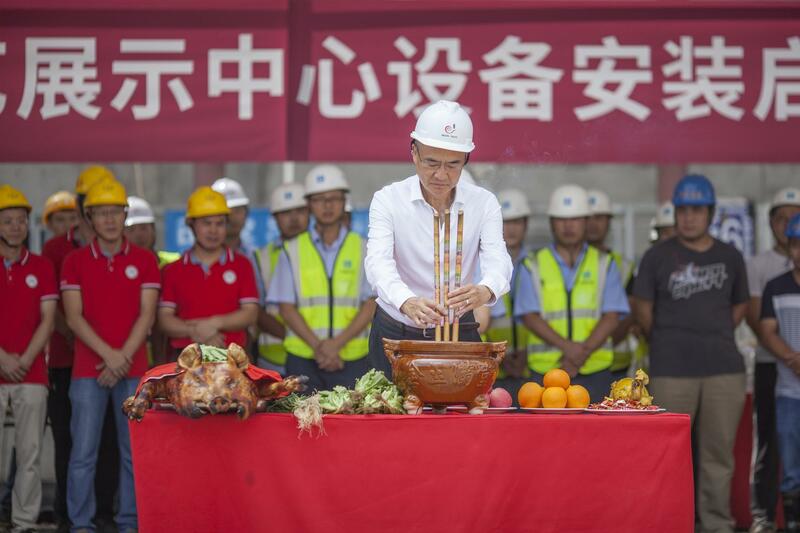 Esquel announced Integral project in Guilin, an eco-tourism industrial park. 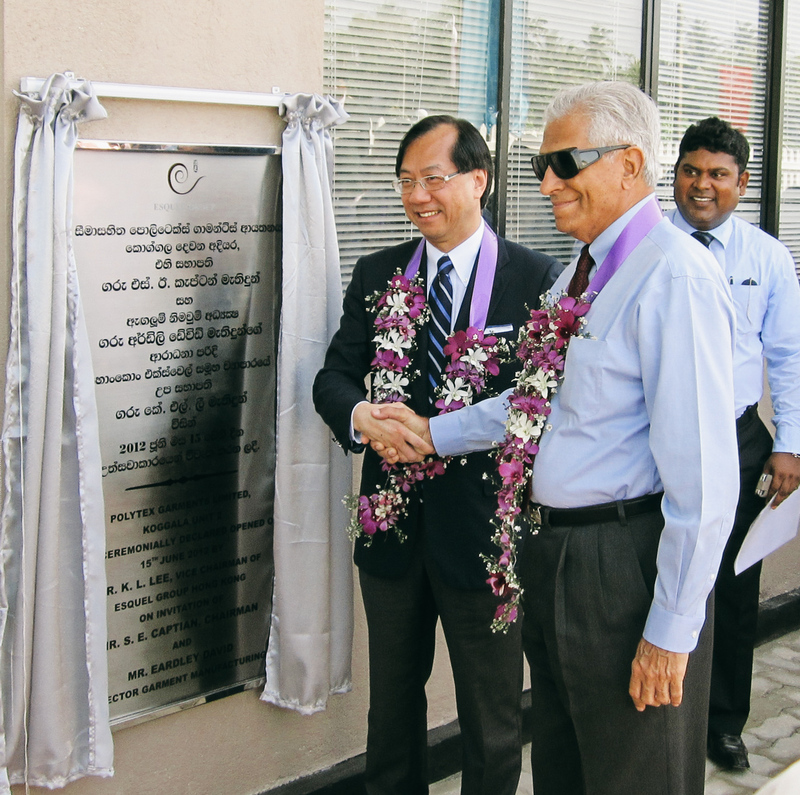 Celebrated the opening of a new unit at the Koggala factory in Sri Lanka. 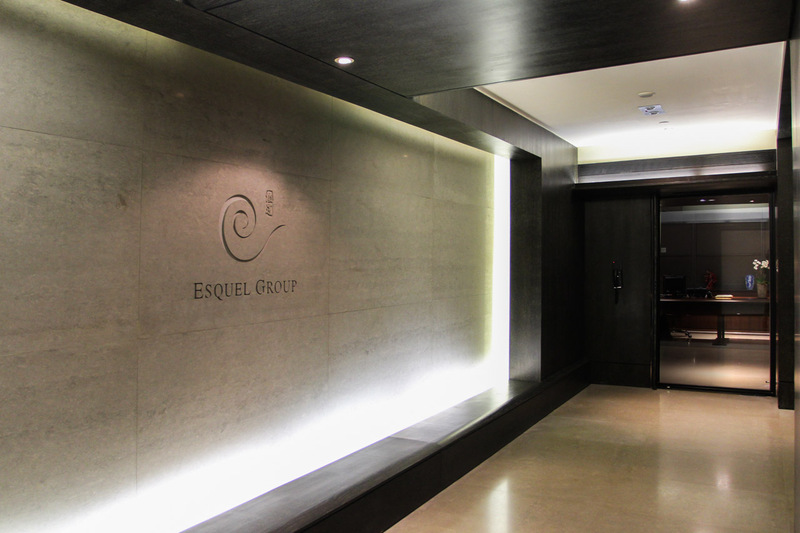 Esquel expanded its Hong Kong office at Eastern Central Plaza. 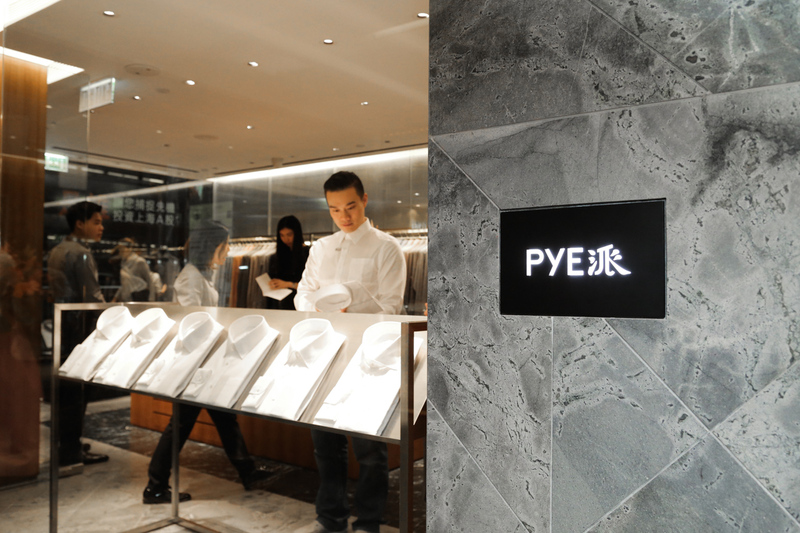 PYE New Concept Store opened at Pacific Place, Hong Kong. 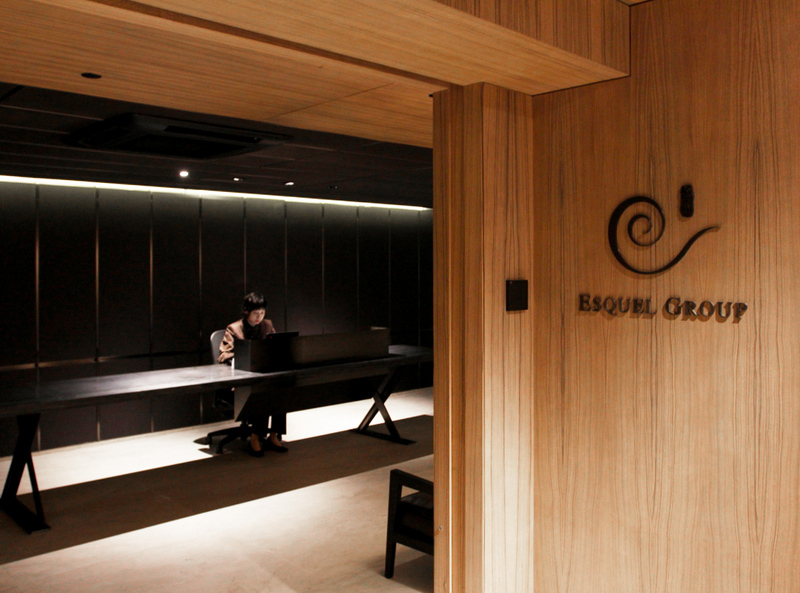 Esquel produced the finest cotton yarn in the world, with yarn counts up to 700. 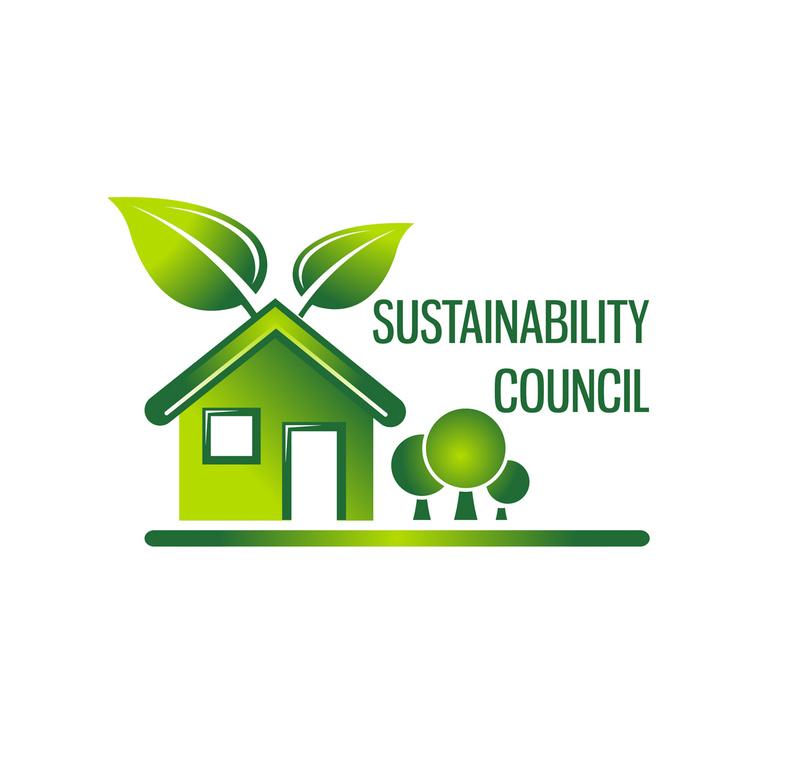 The Esquel Sustainability Council was established. 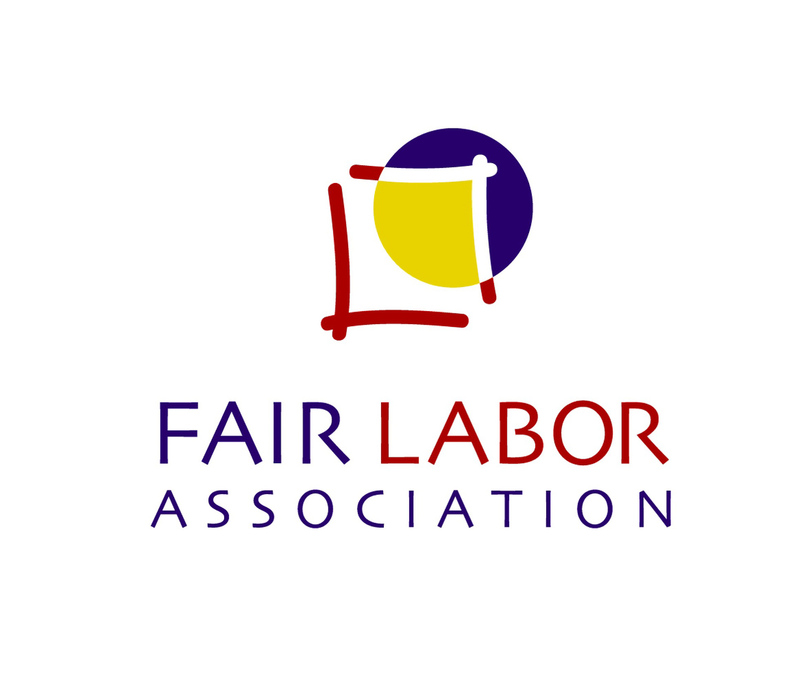 Esquel became the first supplier in the textile and apparel sector to be accredited by the Fair Labor Association. 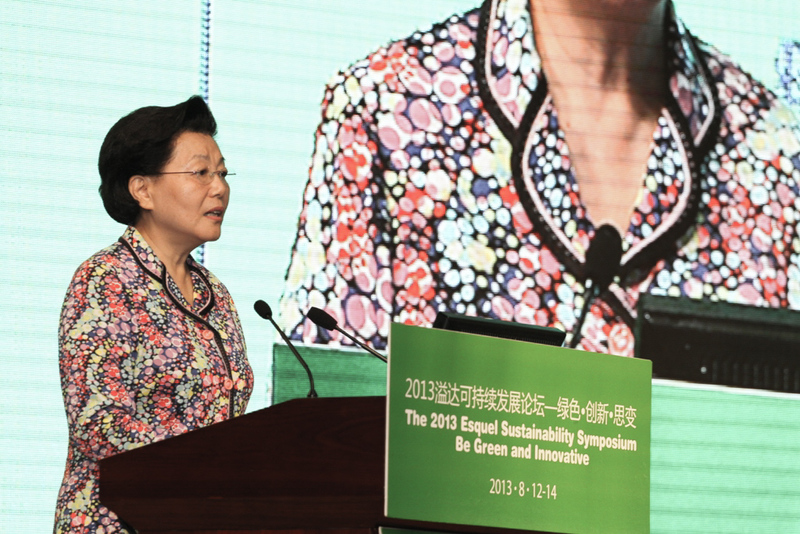 The 2013 Esquel Sustainability Symposium was held, laying the groundwork for the Integral Conversation conferences. 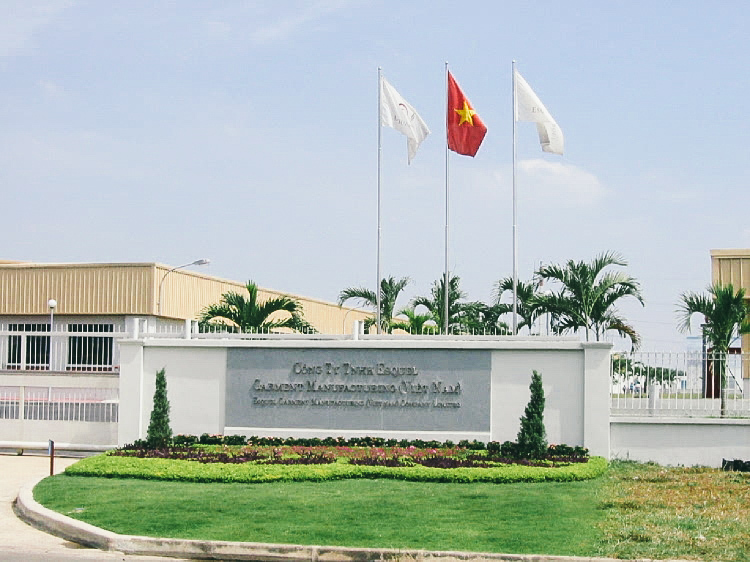 Esquel Garment Manufacturing Vietnam - Hoa Binh Company Limited commenced operation. 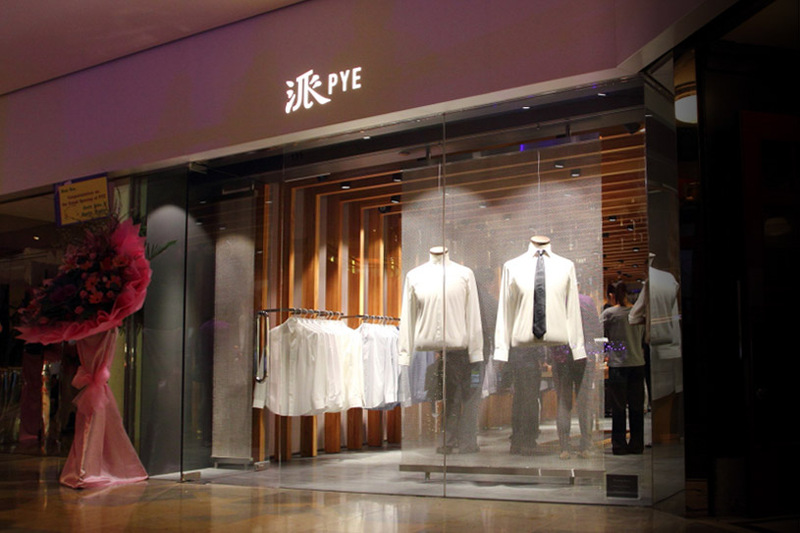 PYE opened a new store in Central, Hong Kong. 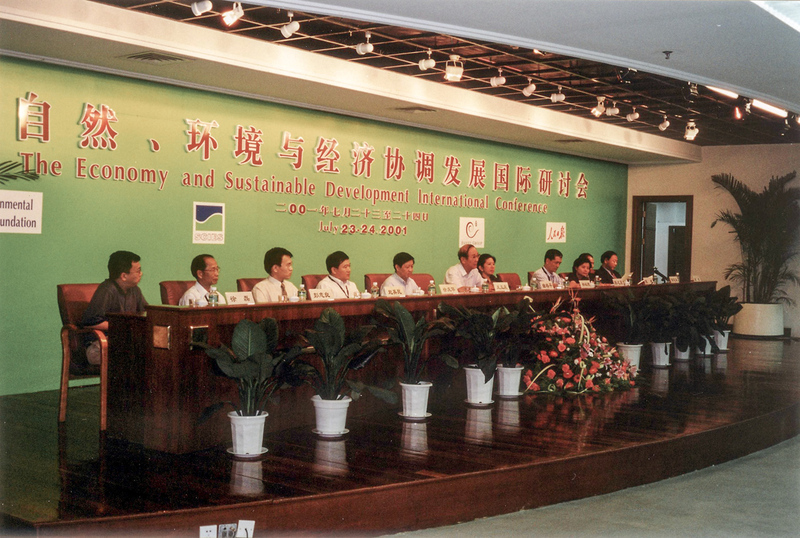 The first Integral Conversation was held in Guilin. 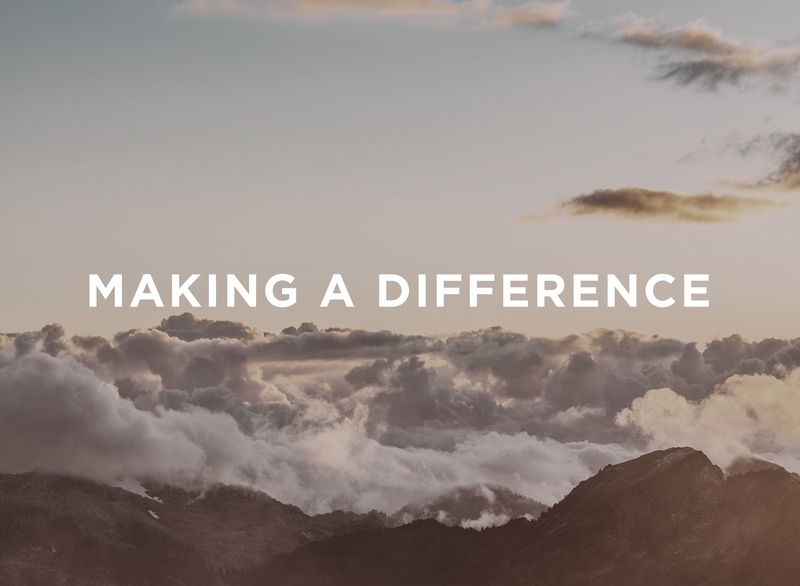 Esquel announced a new vision statement: Making a Difference. 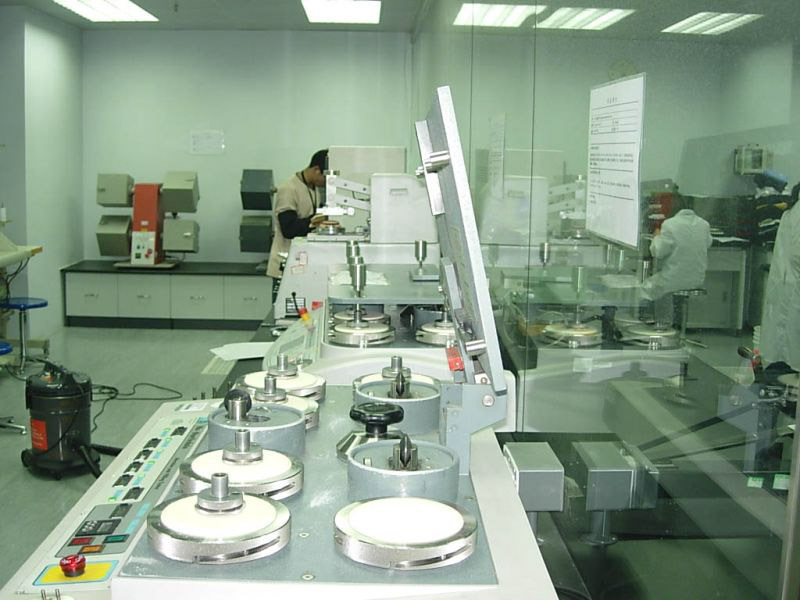 Esquel set up the Xinjiang Research and Development Centre. 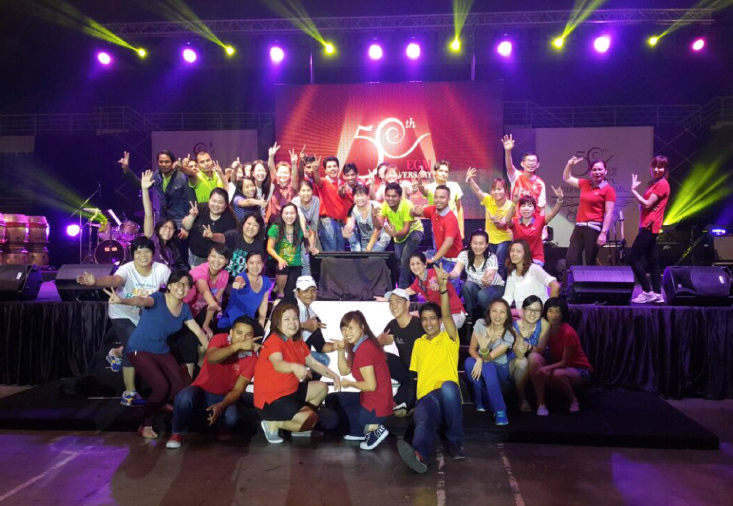 Esquel celebrated the 50th anniversary of Eastern Garment Manufacturing. 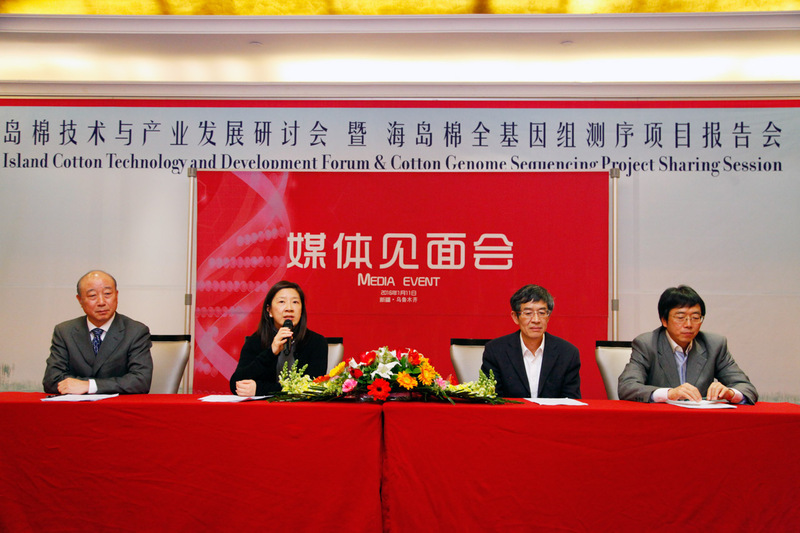 Esquel completed the world’s first genome sequencing project for Sea Island cotton in collaboration with the Shanghai Institute for Biological Sciences of the Chinese Academy of Sciences, the Chinese National Human Genome Center in Shanghai, and Nanjing Agricultural University. 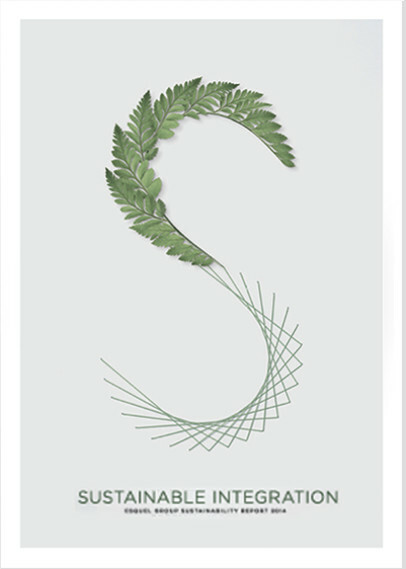 Esquel published its first Group Sustainability Report. 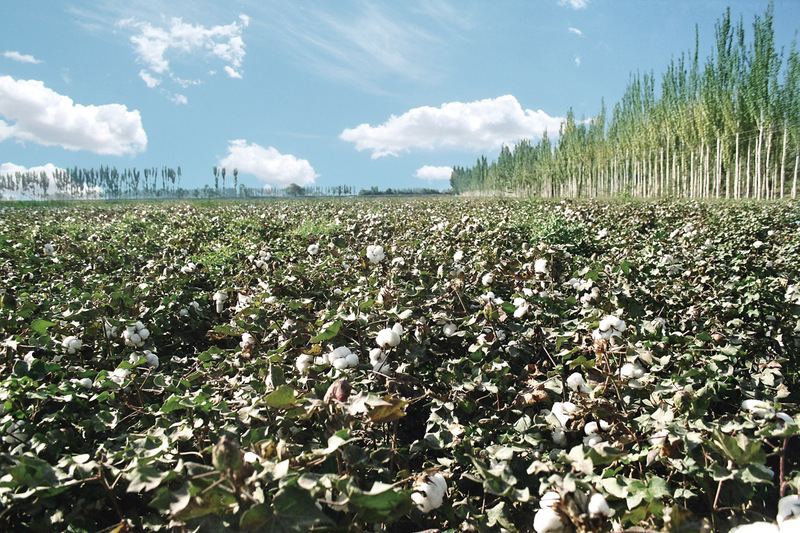 Yuan Loong #5, entitled Xinhai #50, was examined and approved as a new Extra Long Staple (ELS) cotton species by the Xinjiang Uygur Autonomous Region. 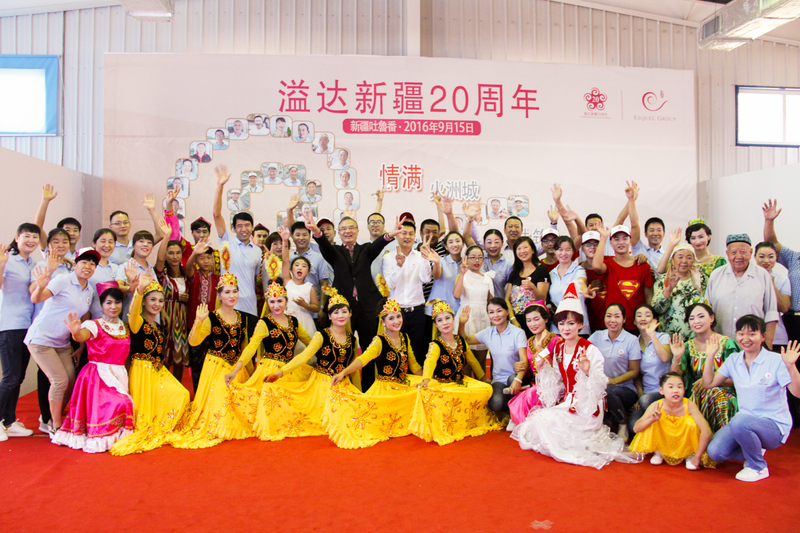 Xinjiang celebrated its 20th anniversary. 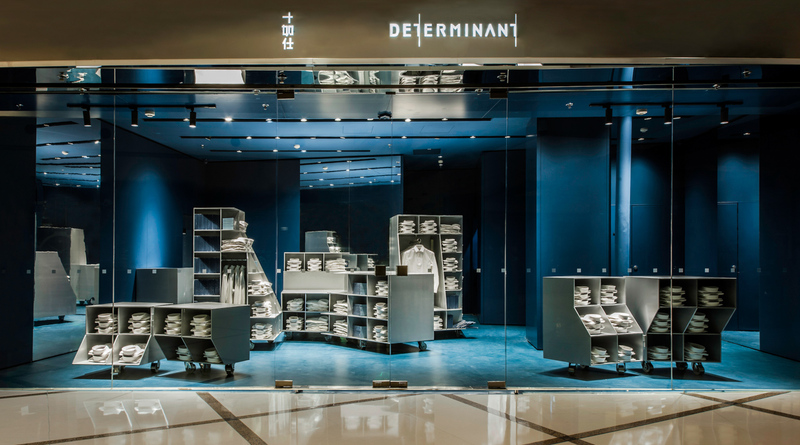 Launch of DETERMINANT, Esquel’s second retail brand. A highly automated production facility at the Changji Esquel Textile Company Limited commenced operation, with 30,000 spindles. Yuan Loong #10, the first co-bred Extra Long Staple (ELS) cotton variety with Xinjiang Academy of Agricultural Sciences, was named as Xinhai #55 by Xinjiang Uygur Autonomous Region. 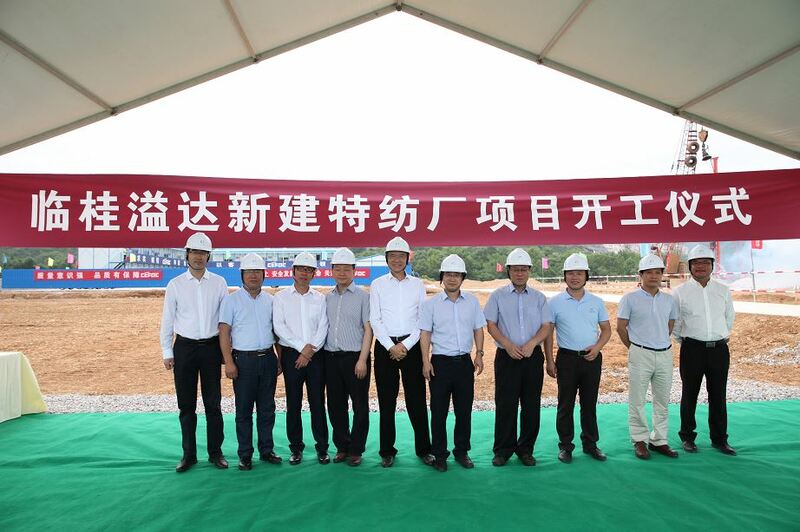 Yang Tang’s Specialty Spinning Mill in Guilin broke ground on June 6. 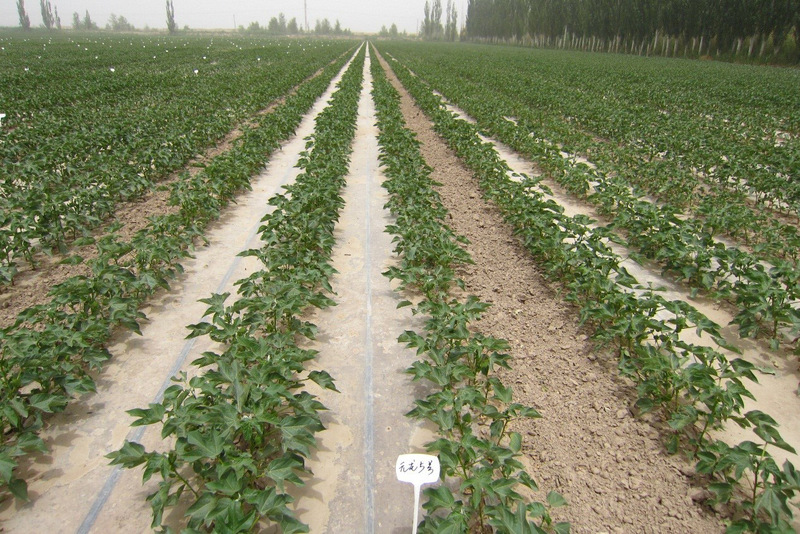 A new Extra Long Staple (ELS) cotton variety, named as Xinhai #63, was examined and approved by Xinjiang Uygur Autonomous Region. Specialty Spinning Mill at Integral commenced operation in September. “Polytex Garments Limited” has been renamed to “Esquel Sri Lanka Ltd”. The change of company name demonstrated our commitment to the operations in Sri Lanka and affirmed the strategic position of Sri Lanka site to the Group. 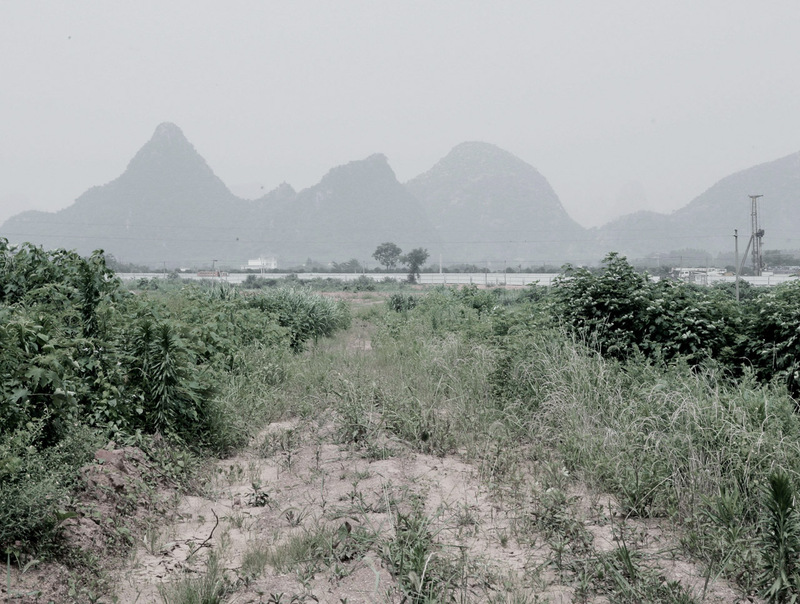 After four years of pre-trial, district trial and production test, Yuan Loong 17, Esquel’s new self-bred Sea Island cotton (commercially known as Extra-Long-Staple (ELS)), was authorized and publicized by the 10th Main Crop Variety Assessment Committee of Xinjiang Uygur Autonomous Region.